For more than 160 years, the YMCA of San Francisco has addressed the most pressing social issues of the day-whether helping immigrants adjust to life in America, providing safe spaces for kids from all backgrounds to learn and grow, or supporting soldiers returning from war find jobs back home. We are committed to building equity through our diversity, inclusion and global engagement efforts. We work to ensure that everyone, regardless of ability, age, cultural background, ethnicity, faith, gender, gender identity, ideology, income, national origin, race or sexual orientation has the opportunity to reach their fullest potential. 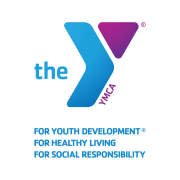 Our 14 YMCAs in San Francisco, Marin and San Mateo counties strive to understand the complex nature of emerging needs and develop unique programming built upon community strength. We understand that each of our communities has unique challenges which are always addressed in a pro-active and compassionate way. Would you recommend Peninsula Family YMCA?